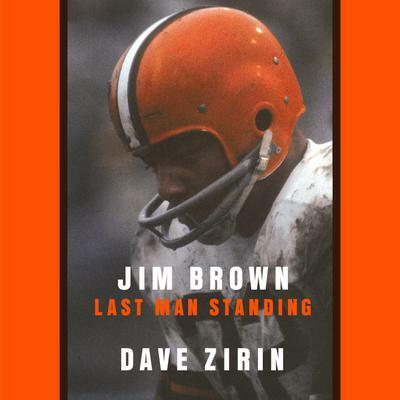 A unique biography of Jim Brown--football legend, Hollywood star, and controversial activist--written by acclaimed sports journalist Dave Zirin. Jim Brown is recognized as perhaps the greatest football player to ever live. But his phenomenal nine-year career with the Cleveland Browns is only part of his remarkable story, the opening salvo to a much more sprawling epic. Brown parlayed his athletic fame into stardom in Hollywood, where it was thought that he could become "the black John Wayne." He was an outspoken Black Power icon in the 1960s, and he formed Black Economic Unions to challenge racism in the business world. For this and for his decades of work as a truce negotiator with street gangs, Brown--along with such figures as Muhammad Ali, Bill Russell, and Billie Jean King--is revered as a socially conscious athlete. On the most hypermasculine cultural canvases of the United States--NFL football, the Black Power movement, Hollywood's blaxploitation films, gang intervention both inside and outside prison walls--Jim Brown has made his mark. Yet in the landscape of the most toxic expression of "what makes a man"--numerous accusations of violence against women--he has left a jagged mark as well. Dave Zirin's book redefines an American icon, and not always in a flattering light. At eighty-one years old, Brown continues to speak out and look for fights. His recent public support of Donald Trump and criticism of Colin Kaepernick are just the latest examples of someone who seems restless if he is not in conflict. Jim Brown is a raw and thrilling account of Brown's remarkable life and a must-read for sports fans and students of the black freedom struggle.